When a screw is inserted into a blind tapped hole, a small pocket of gas will be trapped below the screw, this pocket of gas will give rise to a ‘virtual’ leak within your system. 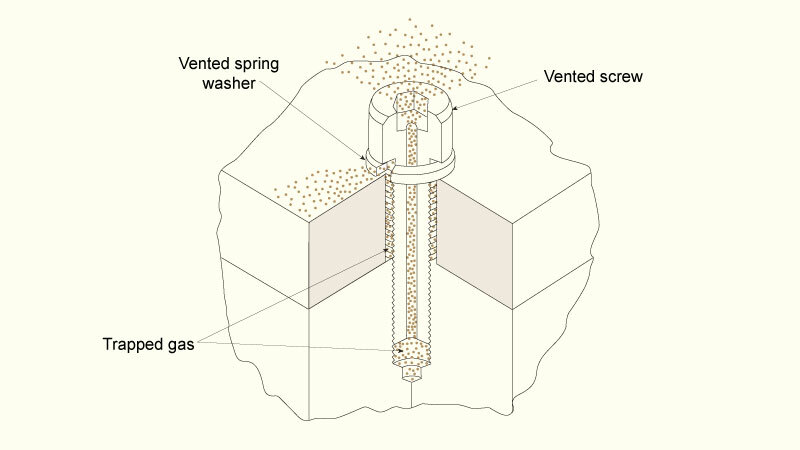 The use of vented screws will allow the pocket of gas to escape thus avoiding ‘virtual’ leaks. 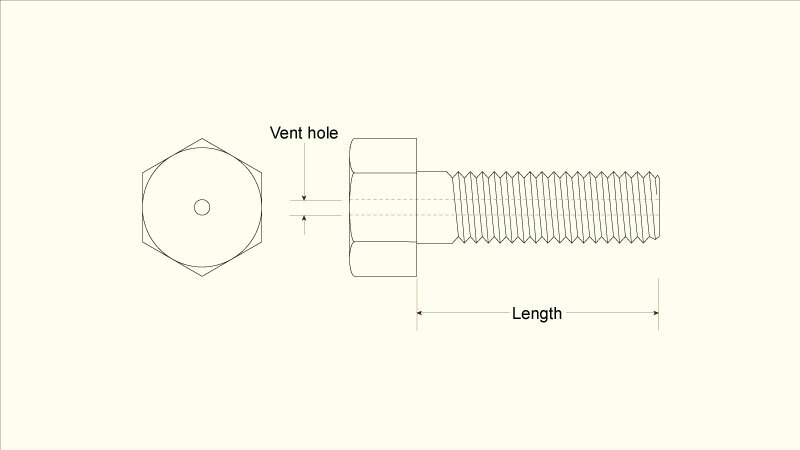 LewVac offer a broad range of vented screws in many different styles and sizes. Just a small selection are listed here. 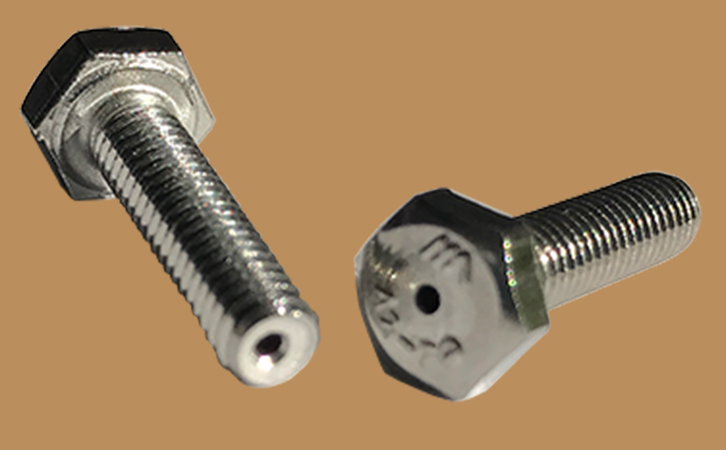 If the style of screw or size that you require is not listed, please contact our sales office. • Molybdenum disulphide (MoS2), tungsten disulphide (WS2), nickel (Ni) and silver (Ag) plating available on request. • Additional screw types and sizes available on request. SKU: N/A Category: Vented Screws etc.